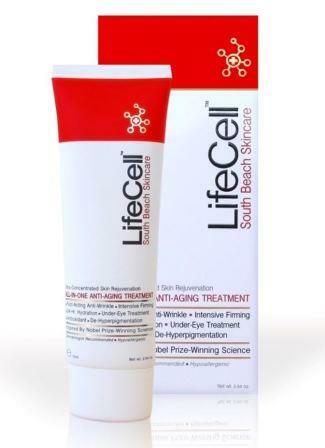 Lifecell claims that their exclusive anti-aging cream can, and does, treat every concern associated with aging, including: diminishing wrinkles and fine lines, eliminating crow’s feet, moisturizing the skin, reducing dark circles and reducing puffiness under the eyes. 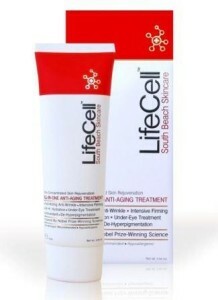 The old adage “if it sounds too good to be true, it probably is” is seeming to ring true with this miracle cream. First, let’s take a look at the ingredients. Many of the ingredients, such as vitamins, oat and Shea butter are commonly seen in creams that are specially designed for the face due to their superior healing and antioxidant properties. On the downside, there are several other ingredients listed that are well known for drying out the face. This would cause the cream to dry out the face instead of moisturizing the skin because there are not enough moisturizers included in the cream to balance it out. There is also not a large enough amount of Retinol included in this cream to ensure that the consumer will see the results that they desire. The ingredients listed may also cause an adverse reaction, such as slight irritation or the face breaking out in addition to the dryness. Upon further review, there are multiple reviews online of customers complaining that they were unable to get their money back, and that they did not see a difference with the use of the product.